Xyngular Global Blend is a unique fruit drink made of quantity of fruit of various sorts. Each component is carefully chosen so that the final drink has as good affects as possible for the human body. This drink gathers the most strong nutrient-dense super fruits, initial antioxidant precursors. These precursosr are.a building blocks of your brain. It also includes herbal adaptogens with the strong xanthones and anti-inflammatories aloe. The strong mixture of antioxidants found in Xyngular Global Blend gives full free-radical support while delivering outcomes the body needs to restore immune health*. This mixture provides the drink a big number of vitamins that contributes to right work of human organism*. Top volume of antioxidants may support your body fight against free radicals*. It cleanses the organism which can support you gain more power, excellent heath* and amazing quality life style. 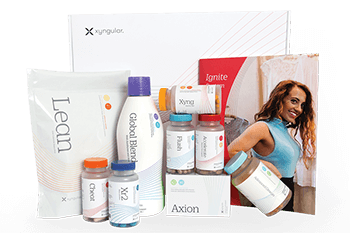 Xyngular global blend just helps the body keep in shape. Is this fruit blend included in the Ignite Weight Loss program? Yes, it is his very important part. This drink offer you some nutrients that are important for complex everyday protection and nutrition. This drink is perfect for anybody willing to better their physical situation, fight against free radicals, support immune system* and get your body in shape. It is a best for old and young people, idlers and sportsmen. GINSENG – Has been shown to improve cardiovascular health, immune system and nervous systems. It also assists the function of the adrenal glands during exercise to build strength and endurance. GLUTAMIC ACIDS – Precursor of GABA but has somewhat the opposite function; it is an excitatory neurotransmitter. It is one of the few nutrients that crosses the blood-brain barrier and is the only means by which ammonia in the brain can be detoxified. It is considered to be nature’s “Brain food” by improving mental capacities. CYSTEINE – Is a precursor to the liver detoxifying and antioxidant amino acid glutathione. This functionality provides an anti-aging effect on the body—even reducing the accumulation of age spots. Another impressive function of Cysteine is the breakdown of mucus in the respiratory tract which can help in bronchitis, emphysema, and tuberculosis. GLYCINE – Supplies additional creatine to muscles and is used to construct DNA and RNA. It functions in skin, connective tissues, the central nervous system and prostate. 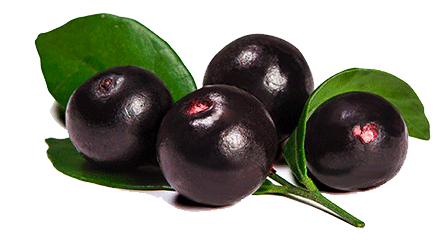 ACAI – Has been recommended for heart and cardiovascular health, may play a role in lowering cholesterol, and is thought to play a role in slowing down the aging process. AMLA – A good source of vitamin C, has antioxidant properties, and studies suggest that it has potential efficacy against inflammation, age-related renal disease, and diabetes. GOJI BERRY – May help fight fatigue, regulate blood pressure & blood-sugar, and may also help relieve headaches & insomnia, while helping to regulates weight. NONI FRUIT – May help stabilize blood sugar levels while reducing inflammation and joint pain. May also help improve digestion, cleanse the digestive tract, and minimize irritable bowel syndrome, constipation, and diarrhea. GREEN TEA – Has potential to lower total cholesterol levels, while improving the ratio of good (HDL) cholesterol to bad (LDL) cholesterol. It may also provide benefits for weight loss, regulating blood pressure, improving skin health and in some studies has shown to be an effective anti-viral and anti-bacterial. Would you like to order just an Global Blend supplement and not whole weight loss package? Not problem. Choose your preferred option and enjoy its benefits. Do you have more questions about Xyngular’s immune health restore Global Blend? Read more and find everything what you need to know before buy. How do you recommend using Xyngular Global Blend? We recommend taking 1-2 ounces of Global Blend at your convenience without food. Can I take Global Blend with my medication or condition? What makes Global Blend different from other anti-oxidant products? Global Blend sets itself apart in the anti-oxidant market by providing complete free radical support with three phases of protection. What is the difference between Global Blend and Global Blend Classic? 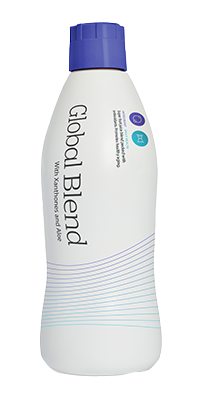 Global Blend contains aloe and xanthones and Global Blend Classic does not. How much of Aloe (Any Nutrient) is in Global Blend? All essential Vitamins & Minerals are listed in their full dose and Recommended Daily Allowance on the supplement facts panel located on your product. Some of our ingredients may be listed as part of a proprietary blend to protect formulas, Xyngular’s valuable intellectual property. How many volume (oz/ml) is in Global Blend bottle? Each bottle of the global blend classic and global blend new contains 28oz (828ml) volume.